Earn the premier compliance certification for medical office professionals. CMCOs are highly trained compliance professionals who understand the role, responsibilities, and tactical skills needed to control risk and lead practice compliance efforts. Washington D.C. attorney, Robert Liles, leads the legal team that developed and maintains the curriculum and examination protocols for PMI's Certified Medical Compliance Officer (CMCO) credential. His background and education provide a real-life perspective and approach towards compliance. As Managing Member of Liles Parker, PLLC, Robert heads one of the nation's leading law firms focused on healthcare fraud defense and regulatory matters representing healthcare providers in civil, criminal, and administrative proceedings. He also serves as outside compliance counsel to a number of national health care organizations and a third-party billing association. PMI has worked closely for many years with Robert as an expert faculty and lead legal counsel on matters of compliance. His qualifications are second to none. He was the first National Health Care Fraud Coordinator and subsequently worked as Deputy Director of the U.S. Department of Justice, Executive Office for United States Attorneys. In addition to his law degree, Robert holds a Master's in Business Administration. He has been awarded an "AV" rating by Martindale-Hubbell, the highest rating that may be awarded to an attorney. He has also been rated "10.0" (out of a possible 10.0) by AVVO, a nationwide attorney rating service. Compliance expertise is among the most valuable and versatile attributes in healthcare. CMCOs are proficient in the development, implementation, and management of an ongoing compliance program. They have advanced compliance knowledge that few medical office professionals have obtained. A compliance program extends beyond the mere maintenance of paper or electronic records. It represents an ongoing effort to operate a medical practice or clinic in an ethical manner within the four corners of the law. A well-designed compliance program can benefit a physician’s practice by speeding up and optimizing the proper payment of claims, minimizing billing mistakes and may reduce the likelihood of an audit. The average cost of a data breach for a healthcare organization in 2016 was $402 per individual record. Multiply that figure by the number of electronic records in your system — penalties can add up quickly. Having a Certified Medical Compliance Officer on staff will help minimize costly threats to your organization. CMCOs are proficient in the development, implementation, and management of an ongoing compliance program. They have advanced compliance knowledge that few medical office professionals have obtained. Lack of knowledge won’t hold up in a federal audit. Medicare and Medicaid have expanded audit contractor programs tasked with identifying fraud, waste, and abuse. UPICs, ZPICs, RACs, and other contractors are authorized by CMS to come into your office and request the documentation that supports the claims for reimbursement that you have submitted to the Medicare program. These onsite audits can occur with little or no notice. Remember, even honest mistakes can trigger an audit. A cookie-cutter plan won’t do. A template downloaded from the Internet won’t meet federal compliance expectations. The CMCO program provides all the resources your office needs to develop and maintain a custom program that fits your unique requirements. Learn to evaluate and update policies and procedures, implement training, and much more. The CMCO program provides candidates with tools and tactical skills needed to assist your office in meeting regulatory obligations and minimizing threats to the organization. Equally important, if you are audited, the training provides proof that your organization has taken steps to comply with applicable billing and coding rules. Don’t be intimidated. This is scary stuff, but we know this subject inside and out. PMI has spent more than 30 years teaching medical office professionals how to do it the right way. This program was carefully developed by leading compliance experts, Robert W. Liles and D.K. Everitt. The curriculum is taught with the medical office professional in mind with real-world compliance examples relevant to your office. You’ll learn to handle tough situations with ease. The CMCO is created for non-hospital healthcare professionals. Experience working in a medical office is recommended for this course. The material presented in the CMCO program provides candidates with advanced knowledge that very few practice management professionals have attained. This specialized training guides the development, implementation, and management of a complete compliance program and serves as an ideal platform for professional growth. The CMCO curriculum covers everything your office needs to know to stay compliant with federal guidelines. Robert Liles and D.K. Everitt are experts who are intimately involved in the business of healthcare compliance and management. The material covered in this program represents a tremendous amount of information and real-world experience, systematically presented during each class meeting. Five hours are allotted for the certification exam and a score of 70% or better is required to earn the CMCO certification. If a passing grade is not achieved on the first attempt, candidates may re-test for an additional fee. Attend instructor-led classroom sessions, hosted in select hospitals, healthcare organizations, medical societies and colleges across the U.S.
Live Certified Medical Compliance Officer classroom format includes a full course manual and timed, five-hour proctored certification exam. A score of 70% or better is required to earn the CMCO certification. If a passing grade is not achieved on the first attempt, candidates may re-test for an additional fee. Participate in the Certified Medical Compliance Officer course remotely with access to a series of twelve live 90-minute instructor-led webinar sessions (limited availability). Live session attendance is not required; registered webinar participants can access the recordings online anytime 24-48 hours after the original recording date. This format also includes a full course manual and timed, five-hour proctored certification exam scheduled by PMI’s Exam Coordinator in a testing center near the candidate’s location. A score of 70% or better is required to earn the CMCO certification. If a passing grade is not achieved on the first attempt, candidates may re-test for an additional fee. Start the Certified Medical Compliance Officer online training program anytime with access to twelve pre-recorded 90-minute instructor-led sessions. The Certified Medical Compliance Officer on demand format includes a full course manual and timed, five-hour proctored certification exam scheduled by PMI’s Exam Coordinator in a testing center near the candidate’s location. A score of 70% or better is required to earn the CMCO certification. If a passing grade is not achieved on the first attempt, candidates may re-test for an additional fee. The CMCO is created for non-hospital compliance professionals to authenticate compliance expertise and provide a pathway for further growth in this important area of expertise. It is the first curriculum created specifically for compliance professionals in small physician practices, home health agencies, hospices, and DME companies. It is also well suited for consultants and those working in community mental health clinics, third-party billing companies, and other non-hospital healthcare environments. Robert W. Liles, JD, MBA, MS, was the first National Health Care Fraud Coordinator and subsequently worked as Deputy Director of the U.S. Department of Justice, Executive Office for United States Attorneys. As Managing Member in the Washington D.C. based office of Liles Parker, PLLC, Robert heads one of the nation’s leading law firms focused on health care fraud defense and regulatory matters representing providers in civil, criminal, and administrative proceedings. Robert’s background, education, and experience bring this class to life with a real-world perspective. D.K. Everitt, CMCO, CCO, is a nationally-known Health Care Compliance Officer whose work includes assessing hundreds of medical facilities, implementing Corporate Integrity Agreements and OSHA compliance training. He has authored several compliance books and serves as President of The Compliance Division, L.L.C. 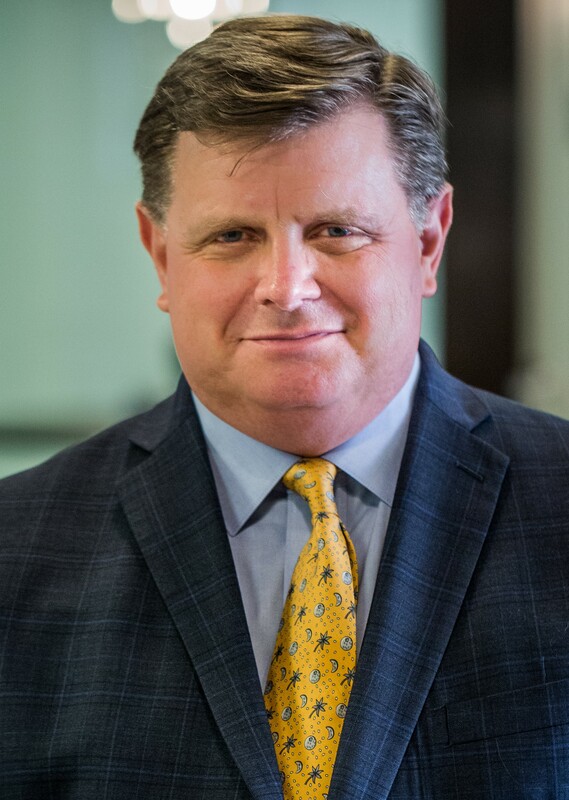 He has spent the last 25 years developing and managing corporate compliance programs and shares his talents as an Adjunct Lecturer and Preceptor for Trinity University’s Health Care Administration Graduate Studies department. Robert and D.K. are seasoned experts in the business of healthcare compliance and management. The material covered in this program represents a tremendous amount of information and real-world experience, systematically presented during each class meeting. The best defense is a proactive approach. Your compliance plan serves as evidence of a good faith effort to comply with applicable laws and regulations. Should the government ultimately choose to pursue criminal charges against you or your organization, your demonstrated use of an effective Compliance Plan will be favorably credited under the points system set out under the Federal Sentencing guidelines.